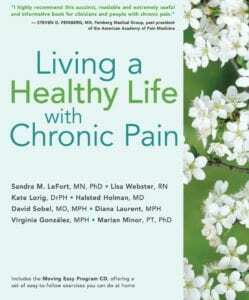 The Living Well with Chronic Pain is also known as Chronic Pain Self-Management Program (CPSMP). Intended for those who experience on-going pain and the people who care for them. To find a Living Well with Chronic Pain class nearest you, visit their website at www.yourjuniper.org and enter your zip code in the search field. Workshops are facilitated by 2 trained leaders. Potential leaders must already be trained as a leader for Living Well with Chronic Conditions. These are tools that leaders will need to use to host a Living Well with Chronic Pain (CPSMP) Class. Contact us to learn more about Living Well with Chronic Pain.